Did you know there are three types of Orca? 1- Resident: These are the most commonly sighted of the three populations in the coastal waters of the Pacific NW. 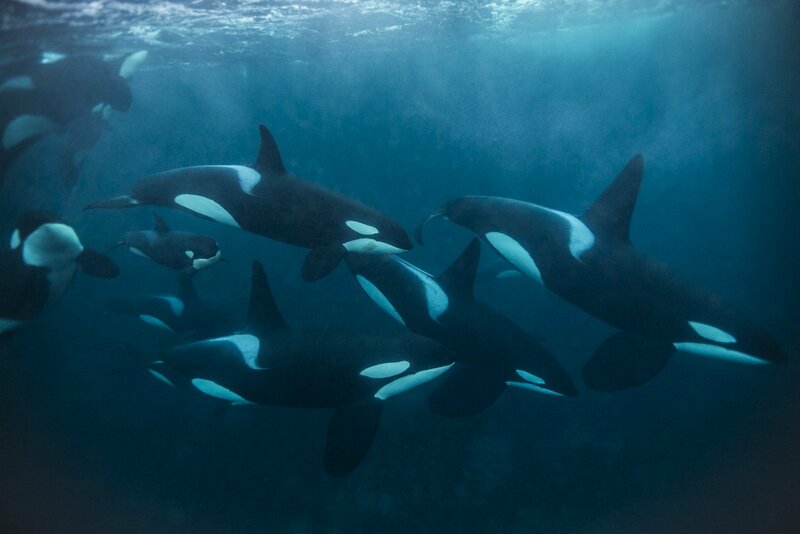 The resident orcas' diet consists primarily of fish, and they live in complex and cohesive family groups known as pods. Female residents characteristically have a rounded dorsal fin tip that terminates in a sharp corner. They are known to visit certain areas consistently. 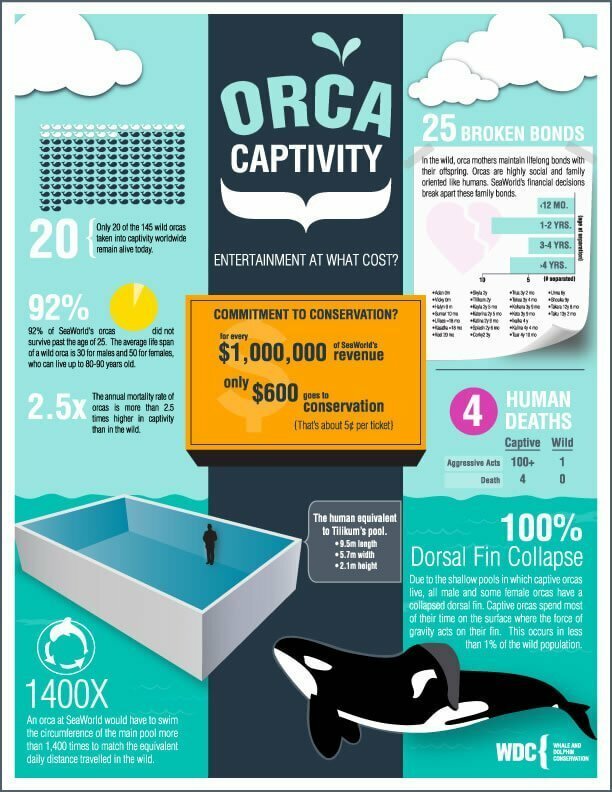 2- Transient: The diet of these orcas consists almost exclusively of marine mammals. They do not eat fish. 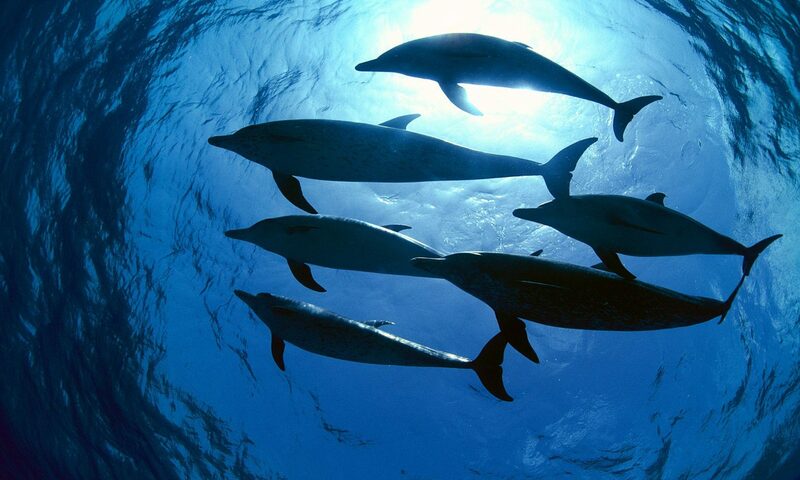 Transients generally travel in small groups, usually of two to six animals. Unlike residents, transients may not always stay together as a family unit. Female transients are characterized by dorsal fins that are more triangular and pointed than those of residents. 3- Offshore: These orcas cruise the open oceans and feed primarily on fish, sharks, and turtles. They have been seen traveling in groups of up to 60. Currently, there is little known about the habits of this population, but they can be distinguished genetically from the residents and transients. Female offshores are characterized by dorsal fin tips that are continuously rounded. Please consider helping, and making a real difference for these beautiful ocean animals by clicking here (100% of all proceeds go to help endangered Southern Resident Orcas in the Pacific Northwest). 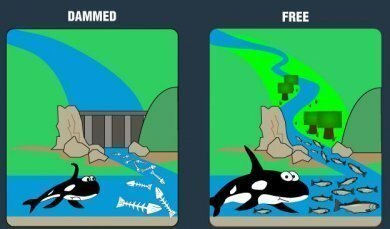 Learn why in the "No Fish, No Blackfish" video (below). A video with more information on we can help to educate, and eventually provide positive change in how marine life can be better protected. 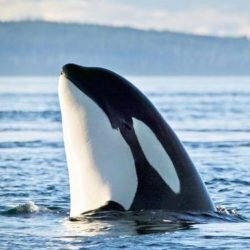 Update on Tilikum (#Tilikum): Tilikum, unfortunately, passed away on January 6th, 2017 at age 37, after 33 years in captivity away from his pod (family). At least he is now free from captivity.